Pre Wedding beauty prep is apparently essential. I was slightly lazy before my Wedding and didn't really do anything differently because in between working full time and planning my Wedding I didn't have the time. In hindsight it would have been a good idea to have a weekly facial to make sure my skin was glowing rather than slightly oily and spotty. Your face and body. It's one of those things which I never remember to do but I really notice the difference when I make the effort. Focus on the areas which will be on show in your dress and slap on the moisturiser afterwards. 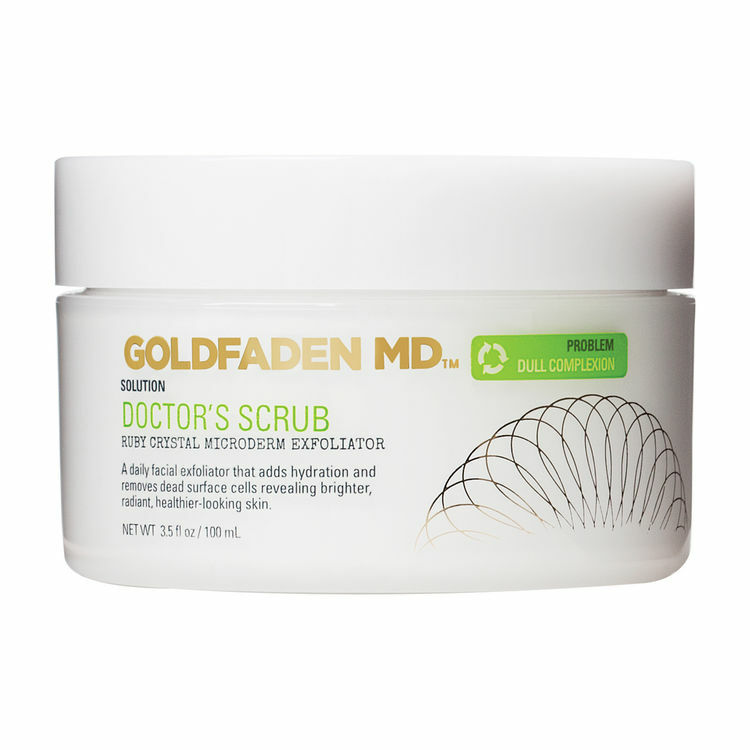 I use this Goldfaden MD scrub once a week on my face and I love it. It's slightly abrasive and your skin looks red afterwards but it leaves my dull and acne prone skin glowing. I know it's expensive but it's the only facial exfoliator I use and constantly re purchase. My legs always look scaly and dry so This Works Dry Leg Oil is a life saver. I have never been a fan of fake tan until recently. I hate the smell, the tell tale marks on the ankles and wrists and I have never seen a natural looking one. A few of my friends were looking suspiciously bronzed recently and admitted it was down to St Tropez In Shower Golden Glow fake tan. I purchased the light colour way immediately and have to admit it is amazing. I use it twice a week in the shower for a subtle body tan. It's super easy to use and doesn't smell, leave streaks or feel sticky. I love it and would absolutely recommend using this in the run up to your wedding. Whatever you do don't decide to tint your brows a few days before the Wedding. I almost fell into this trap and could have ended up with a dodgy scouse brow look going on. Instead, a few months before, start thinking about your brows and whether they might need growing out or reshaping. I love Blink Brow Bar in Westbourne Grove or Vaishaly in Marleybone for threading and eyelash tinting. This brow definer by Chantecaille is my favourite and looks completely natural and lasts for ages. If, like me, you can't afford and don't have the time to have regular facials, you will be excited to hear about Skin Laundry which is launching at Liberty this September. The treatment, which only takes 10 minutes, is a combination of YAG laser and IPL light which essentially deep cleans the skin and removes dead skin cells leaving it smooth and glowing. My kind of facial! Over time, with more frequent visits the treatment will visibly improve your skins tone, texture and reduce fine lines and wrinkles. It is only £50 per treatment which compared to most facials is a bargain! Not strictly beauty, but in my book exercise is key. I am a firm believer that exercise makes you feel so much better and really helps to release any stress or anxiety. In the run up to my wedding I religiously went to Barry's London twice a week which is my absolute favourite class and the hardest work out you can imagine but you really see results. Find whatever works for you whether it's running, yoga or boxing but make sure you exercise and you will feel so much more calmer and relaxed.